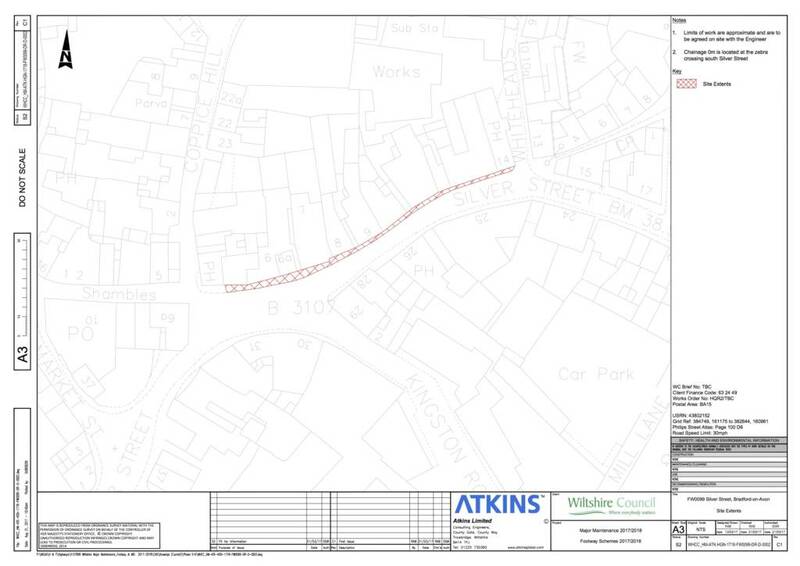 Wiltshire Council have given notice of Footway adjustment works on B3107 Silver Street, Bradford on Avon. Work commences at 7am on 18th April. Silver Street will be completely closed to traffic at the bottom end. The Contractor will maintain access for businesses/residents for the duration of the works where possible; but due to the nature of the works, disruption is inevitable and vehicular access will be restricted. Dedicated traffic management operatives at the extent of the works will monitor access and give motorists assistance. Pedestrians should be able to come through at most times. A diversion route will be in place via Market Street – see map below. 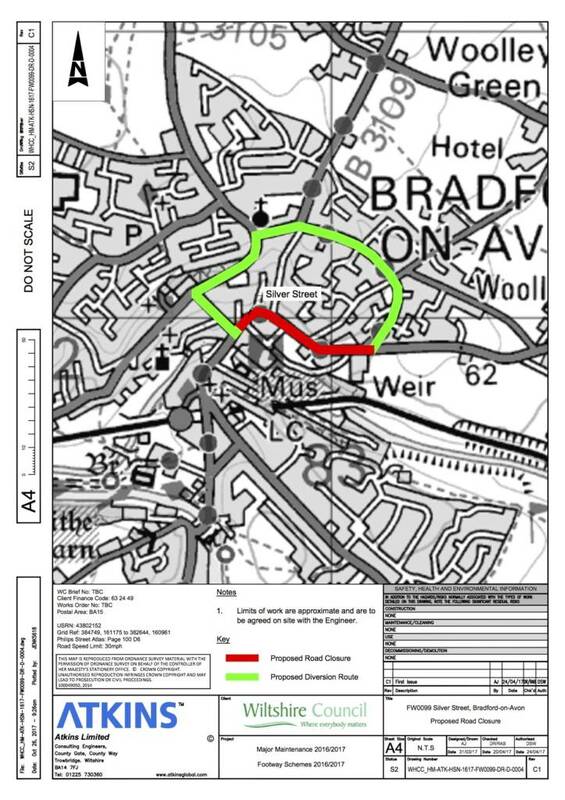 The road will also be closed overnight due to open excavations and narrow road widths to ensure that adequate health and safety is maintained for local residents and the Contractor. The works may last up until 7am on 4th May. The project is part of the Footway Improvement Scheme 2017/2018 and involves paving, kerbing and ironwork adjustment, required due to damage caused by vehicular kerb mounting.